October 28th, 2011 by KTU | Filed under 4. Components and Systems, Park City Mountain Modern. 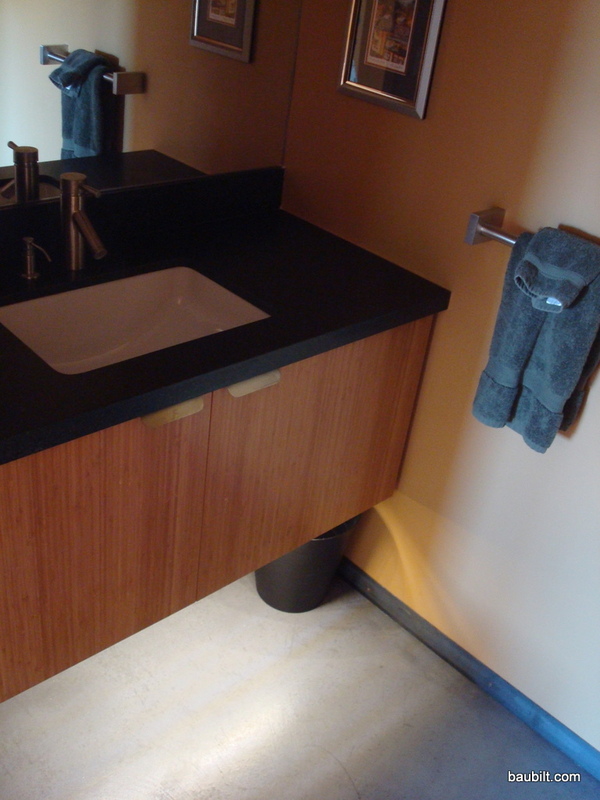 I used wall-mounted vanities in the Park City house because I like preserving as much floor area as possible, and because I envisioned using some kind of under-vanity lighting as a “night light” for the bathrooms. I had the electrician wire in switched outlets for each vanity. It took me a year to get around to the the lighting. Here’s what I figured out. 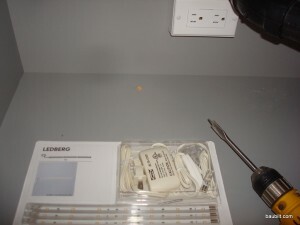 IKEA sells LED lighting strips with power supplies (“Ledberg”). These are roughly 24 inches long and they have a modular connector system so several can be ganged together. 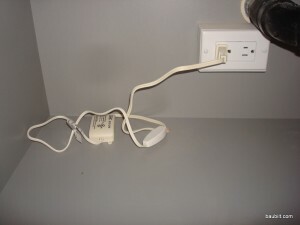 I simply mounted these to the bottom of the vanity about 3 inches back from the front edge with the cord fed through a hole in the bottom of the vanity. This was easy and inexpensive. The light color is a little cooler than I’d like, but overall I’m pretty happy with the results. 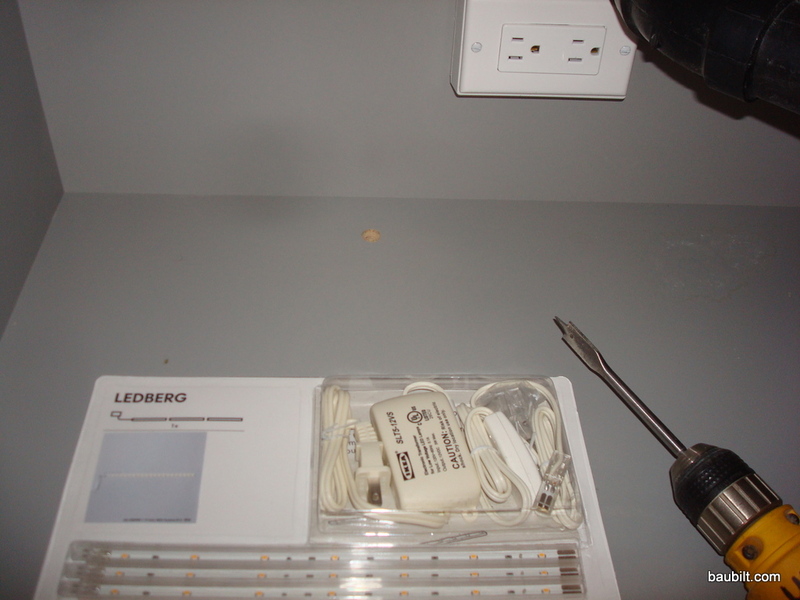 Ledberg IKEA LED lighting strips. Note hole drilled in bottom of vanity with 11/16 butterfly bit. LED strip mounted to bottom of vanity with a couple of little screws (provided). Power supply and most of cord sits inside vanity. 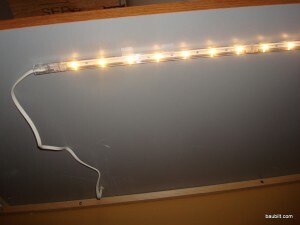 "Nightlight" effect from below vanity.